UA members seeking a degree with WCC should send in their official college transcripts for evaluation. WCC accepts credit from any accredited 2 or 4 year US institution. Transfer courses will need to be college freshman level, or higher, with a C or better grade. Only official copies, sent unopened, and directly from the issuing institution will be accepted. Copies and faxes are unacceptable. Please allow 3-4 weeks for evaluation. Transfer results will be sent to the student by mail. For more information, please read the official WCC policy on transfer credit. 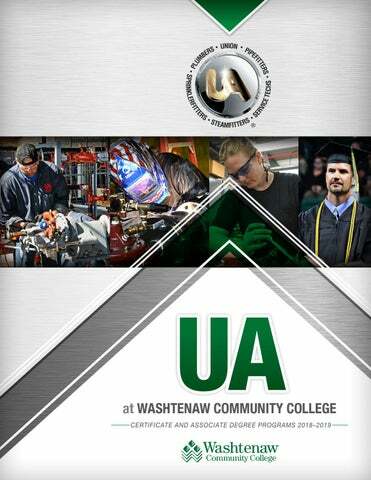 To earn a degree from Washtenaw Community College at least 15 credits per degree need to be earned through WCC.